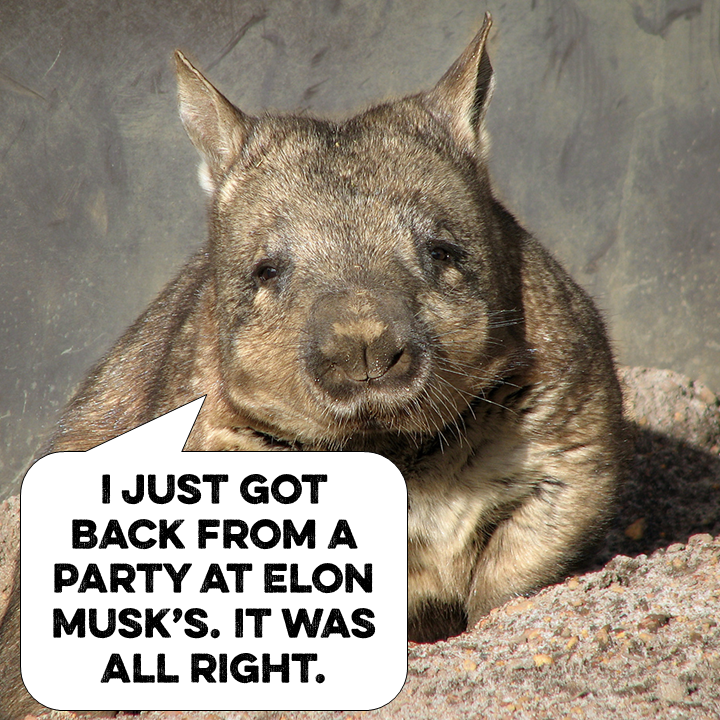 Annnnnd we’re back, with tax withholding, pot-smoking CEOs, IBM Blockchain, and a fat little wombat who just wants to play. Geni Whitehouse talks about "Leading from Within: The Basset Hound versus The Nun" as part of the TEDxNapaValley "Empowering Leadership at Every Level" event. Geni Whitehouse, CPA.CITP, CSPM is the is the author of "How to Make a Boring Subject Interesting : 52 ways even a nerd can be heard". During a cool morning shower by a brave ranger, this chubby Wombat (26 kilos!!) is in for either an innocent play or a deadly attack! First time we've ever seen a jumping wombat, anyway! Older PostData protection recap: What have we learned?